Chris and I are headed to Raleigh, and I will attempt to live blog it! 10:53 — left work. Hooray! 11:15 — left Starbucks, PSL in Chris’ hand. This basic girl is happy. 11:26 — in traffic already on 79, and a funeral procession just passed, which included a hearse, a pickup truck with a giant Italian flag in the bed, an SUV limo, then multiple other trucks with an assortment of Italian, American, and rebel flags…and sometimes a combo of all three. Who was this person?! 11:52 — lunch stop at Sheetz. In Waynesburg. We are hungry! 12:16 — back on the road! 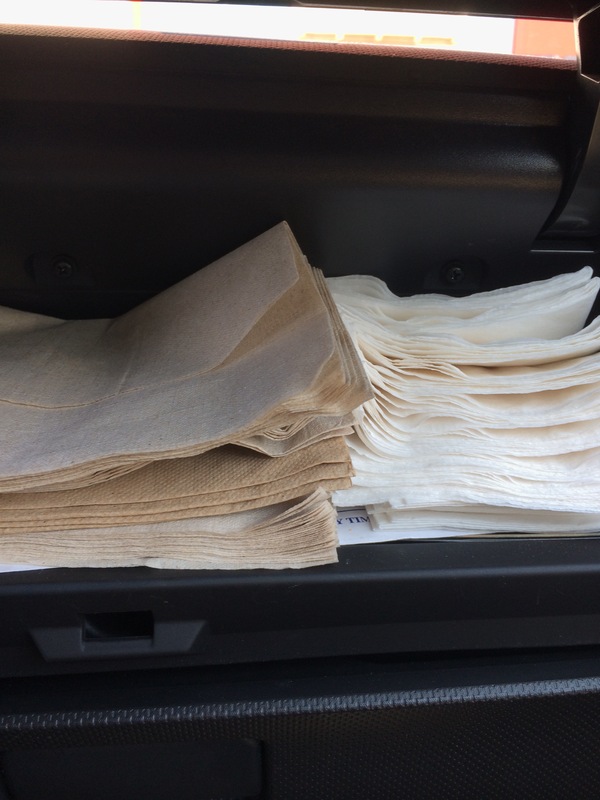 Our napkin supply is building up quite nicely. 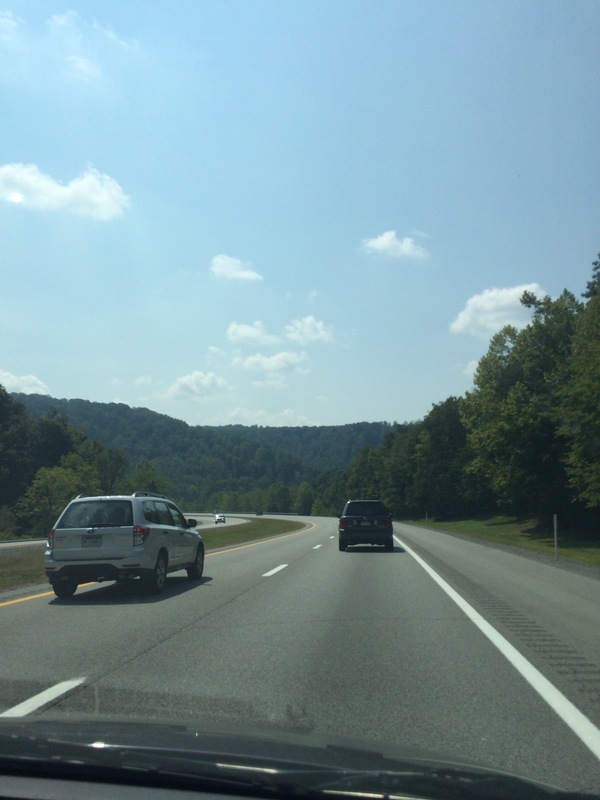 12:35 — West Virginia! Anyone who thinks this is a small state has bever driven from the top to the bottom. 1:36 — just woke up from a short summer’s nap, which was amazing. I missed a call from my mom, whose voice mail said she was about to take a nap. Great minds think alike! 1:46 — it takes about 37 years to drive through this state, but it sure is pretty. 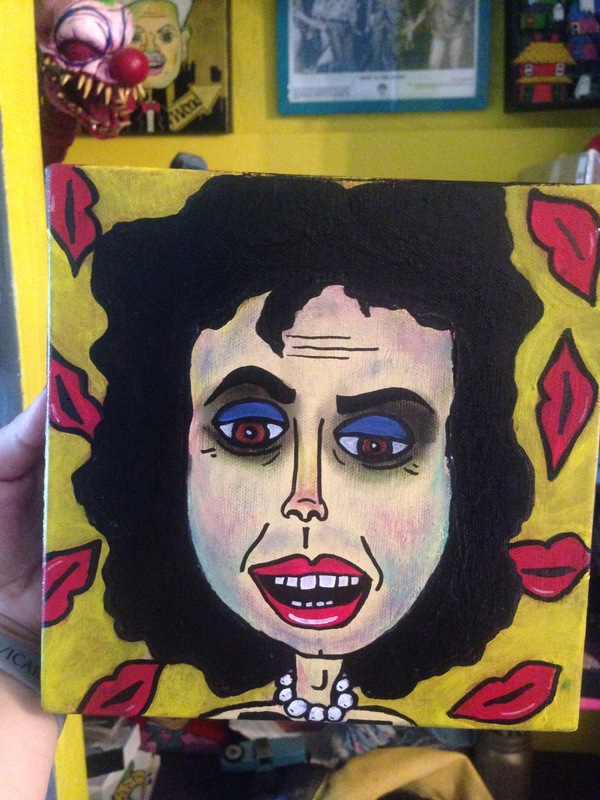 1:59 — current music is from RHPS, which makes me want to share this awesome picture Erin made Chris for her birthday! So ridiculously talented. And we are so lucky to have her as a friend. 2:55 — this live blog is a little boring, my friends. I’m simultaneously sad that it’s not more interesting and happy that nothing bad has happened. 3:52 — on the road again after a pit stop in Beckley. Starbucks count — 2. 4:06 — it’s raining! Glad Chris is driving. 4:19 — I needed to charge my phone — because of the blogging — so now it’s Postmodern Jukebox time. The best time of all. 4:28 — just got off the phone with FSIL Amy, who thinks it’s funny we brought ingredients for a kale salad with us. She’s making us dinner when we get there, which is pretty sweet. 4:47 — we have seen so many cops. I realize it’s a holiday weekend, but there have been a lot! 5:43 — refueling stop. Sheetz count — also 2. Who will win this epic road-trip battle?! 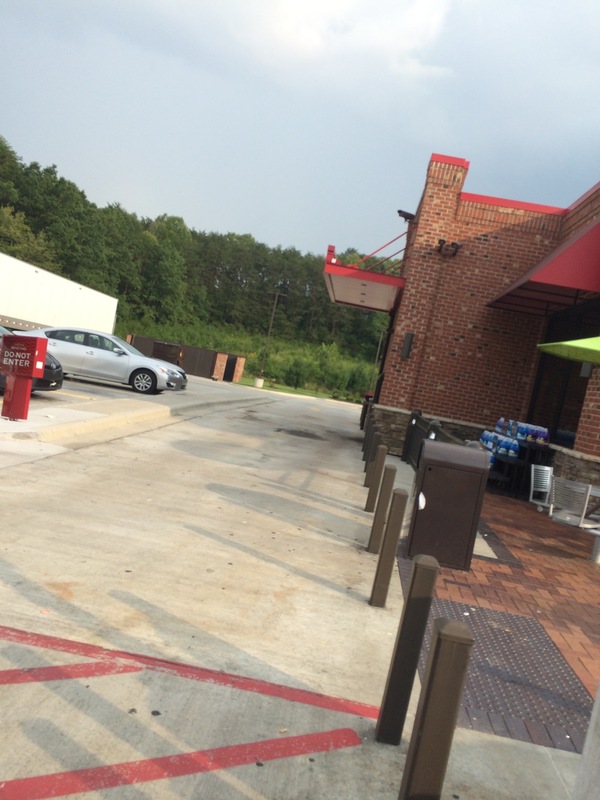 5:46 — in addition to selling wine, this Sheetz has a drive-thru. What?! 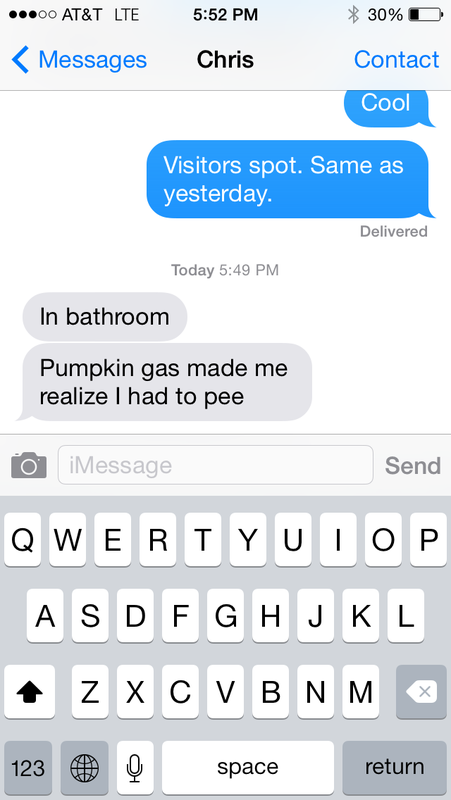 5:52 — a true sign of fall. 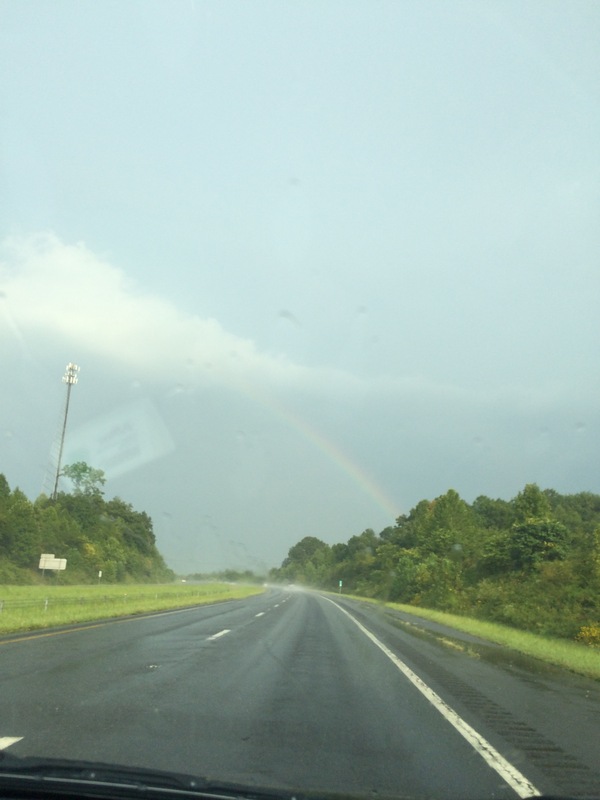 6:01 — rainbow! Gayest road trip ever! 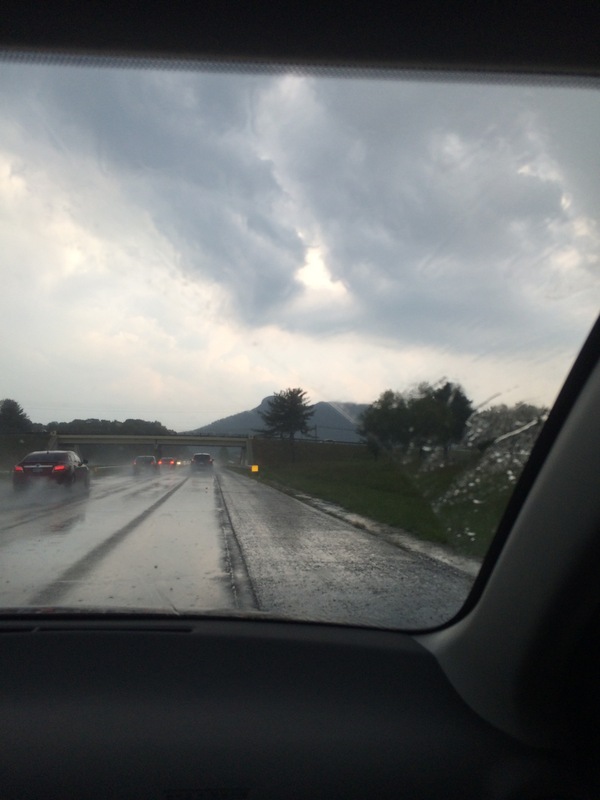 6:13 — Pilot Mountain and a torrential downpour. 6:57 — weather has cleared up a bit, thankfully. We have about an hour to go. Almost there! 7:46 — I got excited to post something from Graham, NC, and then the app went nuts. Now Chris is singing to herself. It’s been a long drive. So close! 7:56 — was just referred to as Dolly the dog’s FAIL (future aunt-in-law). Funny, Amy. Funny. 7:58 — this just in: everyone is driving like an insane person. Except my lady, obviously. 8:01 — regretting the decision not to put this beer in a cooler so we could consume it immediately upon arrival. 8:10 — safely arrived! Thanks for joining us! 10:29 — I was chastised by FSIL Amy for not saying that they had wine waiting for us. The finest Charles Shaw vintage was offered to us when we arrived. Thanks, Fern and Amy! Huh, never heard of Sheetz before. They must get a lot of jokes from that name! If you wander to Durham during your stay, I had a life-changing burger at Bull City Burgers and Beer. Pimento cheese and bacon marmalade– yum! If you get over to Durham, I had a life changing burger at Bull City Burgers & Beers. Highly recommended, especially with their pimento cheese and bacon marmalade! Sigh. So WordPress didn’t eat my first comment…. You stopped at the Beckley Travel Center and it did not provide a plethora of blog topics? I am shocked. Lots of interesting things and people, that’s for sure.